These days we drink clean water with no germs, unlike previously when they would drink water from the open source which was smelly with a bad taste. The well is near my home so I can easily access it. 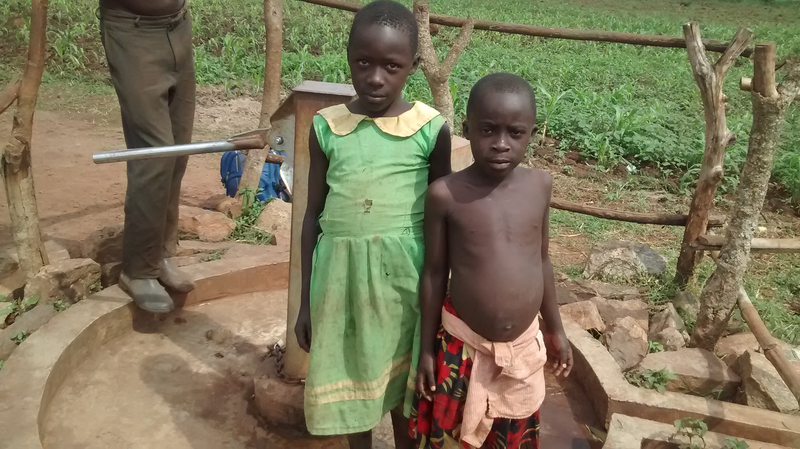 A year ago, generous donors helped install a well with Nyakagando Community in Uganda. Because of these gifts and contributions from our monthly donors, partners can visit project sites throughout the year, strengthening relationships with communities and evaluating the actual water project. These consistent visits allow us to learn vital lessons and hear amazing stories – we’re excited to share this one from our partners, Geoffrey Kusemererwa and Sovia O. with you. Nyakagando I Village in Kiryandongo District, became Open Defecation Free (ODF) with 100% latrine coverage on November 12, 2016. Nyakagando Village has a Village Savings and Loans Association (VSLA) to help the community save money, receive small loans, and have money available for well repair. With a total of 31 households, the members meet every Wednesday to carry out their savings discussions. Currently, the group members have a total savings of 1,610,200 shillings. This model has helped ensure that the water point remains in very good condition. 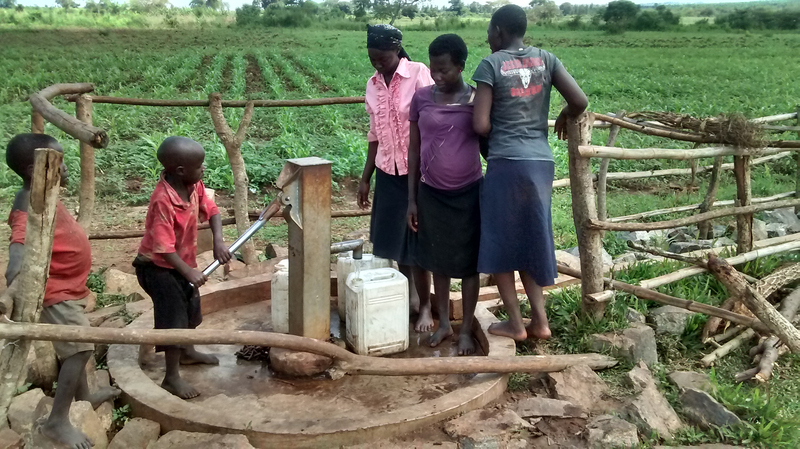 This community is working so hard to care for their water point, and they’re doing a wonderful job! When you invest in The Water Project, you're investing in people like Mercy Immaculate. Your gifts help us reach more communities with the gift of clean, safe water. And every drop helps unlock potential.